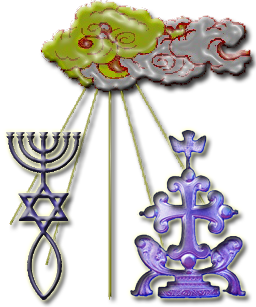 The Mshikhanim are the gentile followers of Yeshua Mshikha the first century C.E. The Assembly of the Mshikhanim is a religious association of men and women, old and young, united in their commitment to the study and living of the Didache, the original teaching of Mar Ya’aqub ha’Tzaddik (James the Righteous) to the gentiles. Along with our Netzarim brethren, we are not associated with any new age or new religious groups or cults or any religious community outside the Religion of Light. We are committed to living the lives of faithful disciples of Yeshua while in the modern world, without adding false doctrine and practices, without twisting or adulterating the divine truths given to us, and without abandoning the important tenets necessary for living our covenant. While there is much that the Father is revealing for our Community in this modern age, it is always in light of the original covenant offered to the original gentile followers of Yeshua centuries ago. We are focused on living the Teachings of Mar Ya’aqub ha’Tzaddik to the gentile disciples, but in light of the teachings of the Teacher of Righteousness in this current age. Our Tzaddik is H.H. Mar Chayim bar Ya’aqub ha’Tzaddik (Chayim son of James the Teacher of Righteousness). We are governed by Mishqana: The Holy See of Mar Ya’aqub ha’Tzaddik. We are returning to the original intent for the gentile disciples of Yeshua in the ancient past, but clarified and guided by divine revelation in the present, all in order to bring us to the Kingdom of Heaven in the future. The Mshikhanim do not look or sound like other groups in the world, because we do not try to be like other groups. We have one focus and one focus only, and that is to be devout disciples of our Messiah Yeshua.